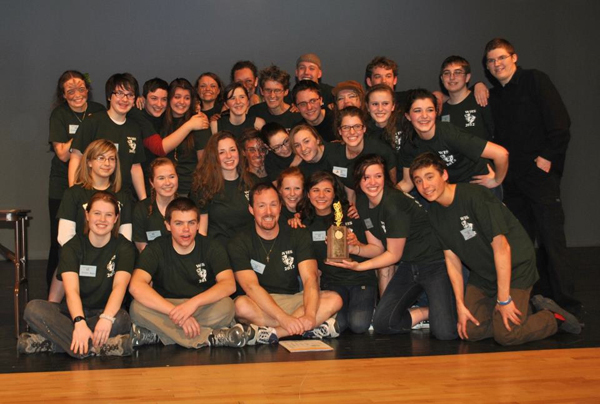 WINDHAM – The cast and crew from Windham High School were among the winners last weekend at the Maine Drama Festival’s 2012 one-act play regional competition. As part of the competition, regional events took place in eight high schools across the state. Two schools from each site moved on to the state championships, set for March 23-24, with Cape Elizabeth and Windham taking honors at the competition held at Windham High School Saturday. In Windham, Windham High School’s “Wiley and the Hairy Man,” and Cape Elizabeth High School’s “Find Me” advanced to the state finals, with Bonny Eagle’s “The Rivers of Eldritch” as the alternate. In addition to the state advancements, judge’s commendations were also given. Scarborough received an award for music design, Oxford Hills for physical comedy, Gorham for set design and Biddeford for costuming. Bonny Eagle was recognized with the ensemble award, while Thornton Academy was awarded in student direction. Additional schools that will advance to states are: Brewer High School, Fort Kent High School, Oceanside High School, Lincoln Academy, George Stevens Academy, Lee Academy, Skowhegan High School, Winthrop High School, Leavitt High School, Yarmouth High School, Falmouth High School and Freeport High School. The state finals will take place at Yarmouth High School the weekend of March 23-24. Both Cape Elizabeth and Windham had outstanding performances, each bringing a completely different genre to the table. 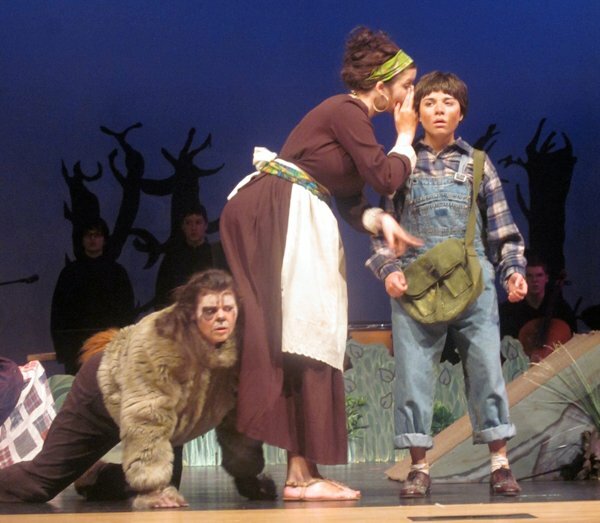 Windham High School’s play told a comedic yet suspenseful story of a boy named Wiley (played by Maria Sepulveda, an all-festival cast award recipient ) and his Mammy (Clarke) who used spells, incantations and wit to out smart the evil Hairy Man (played by Avery Topel). This performance entailed enthusiastic and talented acting, an excellent plot portrayal and fabulous sense of humor. It was also honored with judge’s commendations for music and sound presentation, interpretative movement and set design. The Windham group loved playing host to the other schools for the day-long competition.